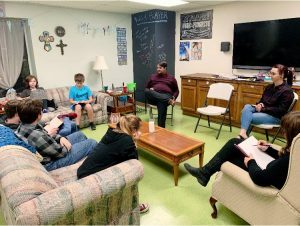 EYC is a time and place for 6th-12th graders that provides a safe and loving community in which they can explore the questions of their faith, practice kindness and compassion, and receive the guidance of friends and mentors as they grow into adulthood. Also, there is always food at 5pm! Children and youth gather Sunday mornings at 9:15am to dig into the scripture readings for the day. 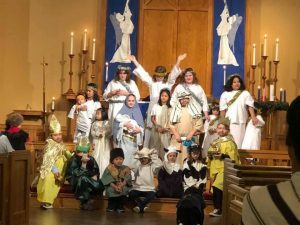 Following the “Living the Good News” curriculum, students actively engage the Bible through art, games, drama, and more! For more information and a schedule of both EYC and Sunday School events, contact Rev.MichaeleneMiller@gmail.com.